Davin was born with a birth defect and spent a long time questioning God. Listen to the way God transformed his life. Like his brother before him, Dylan Ramirez decided to go to public high school after graduating from a Christian elementary school. Jordan Greene is a musician with a very simple passion for God. Listen as Mary Griffith shares her testimony about the struggle to keep God number one in her life. If the light that is in you is darkness how great is that light? It could be little, but still could be very effective. I’m in a rough patch in my life right now. Let me be clear. My rough patches are relative. I’m not starving of hunger.  70% of Adventist students and 90% of all high school students attend public Schools. We need to reach them! See how easy it is to meet students for lunch, at the game and other places where they spend their waking hours outside of church. Ideas to help you to empower students to reach their peers--one on one or in groups. These are all real people sharing real experiences. Check it out – you just may see someone you know.